Although a window stay or restrictor may seem like a less valuable feature of your windows, its importance should not be forgotten. Window stays are valuable for both smooth operation and security to keep your furniture in good working order. In our high quality range of window stays, all of them will work on top hung windows, with the only exception of the sliding casement stay. So to find out more about our selection, here’s our guide to window stays for top hinged windows. Window stays are items which support open windows and also maintain the security of closed windows. Available in a variety of finishes including polished brass, polished chrome plate and more, these window stays provide a neat finish and offer the security you need for your home. You should make sure your window stay matches the colour and style of your existing window furniture. 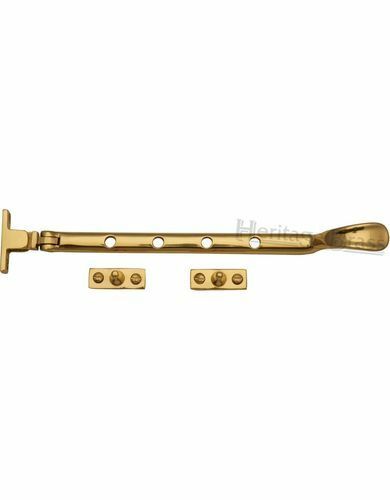 A window stay consists of a metal arm that attaches to the opening piece of the window and the pin that fixes it to the frame. Each arm features separated holes for a pin to be secured to keep the window in place. Once you have closed the window, the arm should rest horizontally across the pins. The window stays can also be used for desk writing surfaces and to keep in place drafting tables at a required angle. How Do Window Stays Operate? The stays operate by lifting and swivelling to avoid hitting the bottom of the window frame as you push the window open. Nearly all of our window stays will work on top hinged windows, giving the variety to suit any traditional or contemporary home. Casement windows require a stay, fastener or both at the same time. 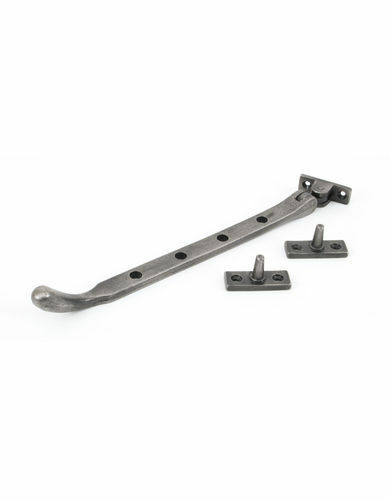 Some of our casement window stays are also available with a locking pin which can add further security to your furniture and the exterior of your house. What Window Stay Do I Need? 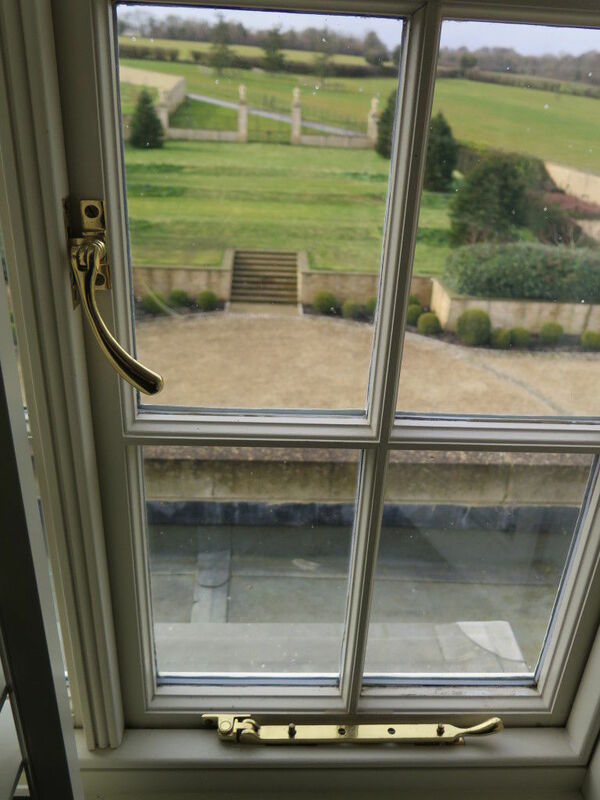 Our range of stays will be able to cater for most windows, including windows which feature a hinge at the top. However if you have outward opening basement windows which are hinged at the top as opposed to side hinge windows, you may require an extra pivot to compensate for the movement. Additionally, this may be the case for a wooden window opening which may require another window restrictor or stay. For more information on which window stay is the right one for your furniture, please feel free to contact us here with any queries and we’d be delighted to help. To browse our full range of window furniture to equip your home, please click here.